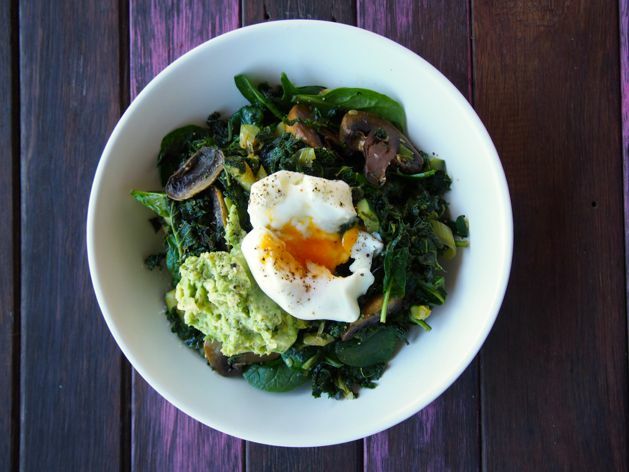 Do you know why this green brekky bowl recipe rocks our worlds? Coz it’s the easiest way to pack extra greens in to our day! Plus you pack them all in before you’ve even started your day! BOOM! Gotta love that! Greens give you magical powers so you can do whatever you please: like ride your bike, dance like crazy, write a book, hang out with friends, go to the markets… basically they give you good energy! 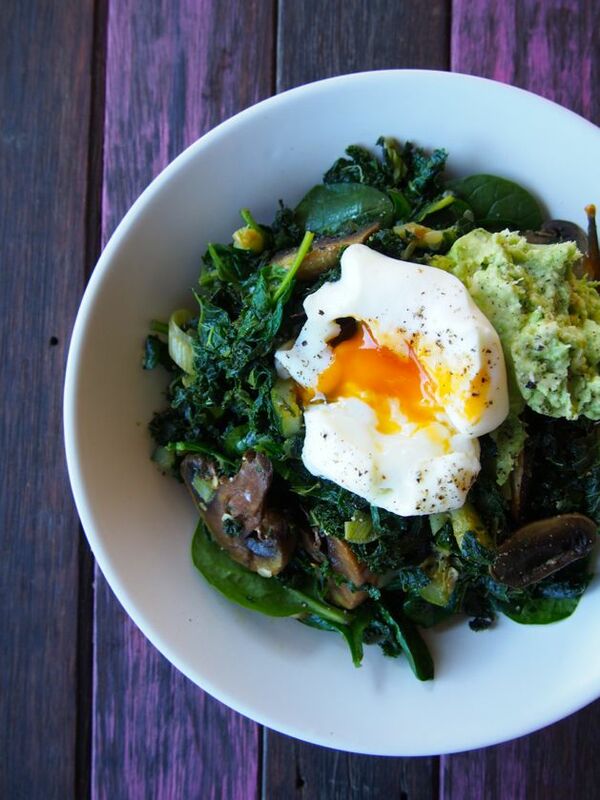 Greens give you magical powers… here’s how to add more in to you day! 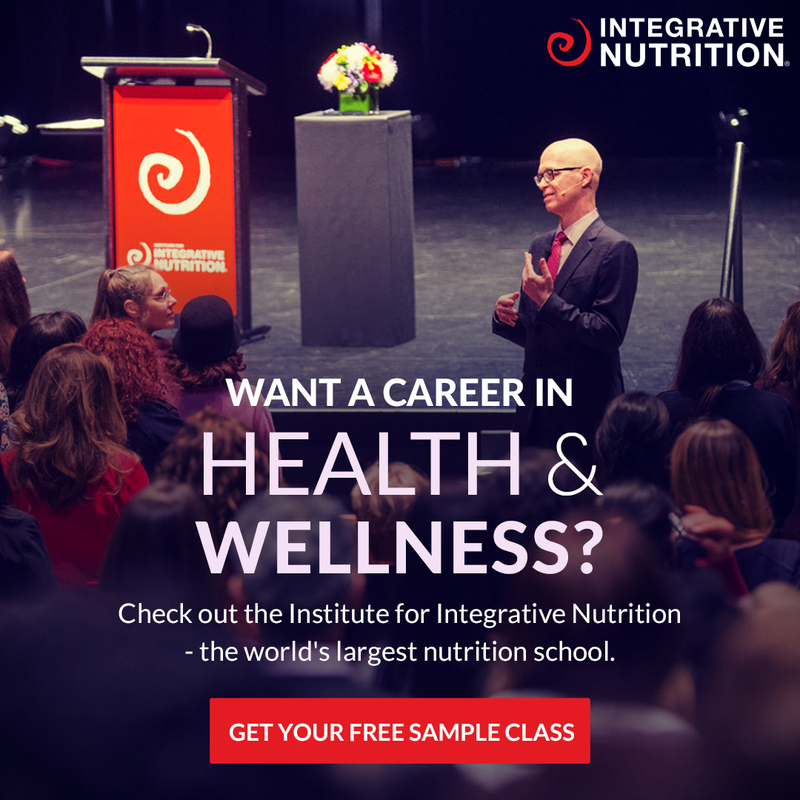 The thing with a real food or paleo or primal lifestyle (or whatever you call it) is that any rules for what can be eaten at breakfast, lunch and dinner no longer exist. This recipe would have seemed not-so-breakfast a couple years ago. 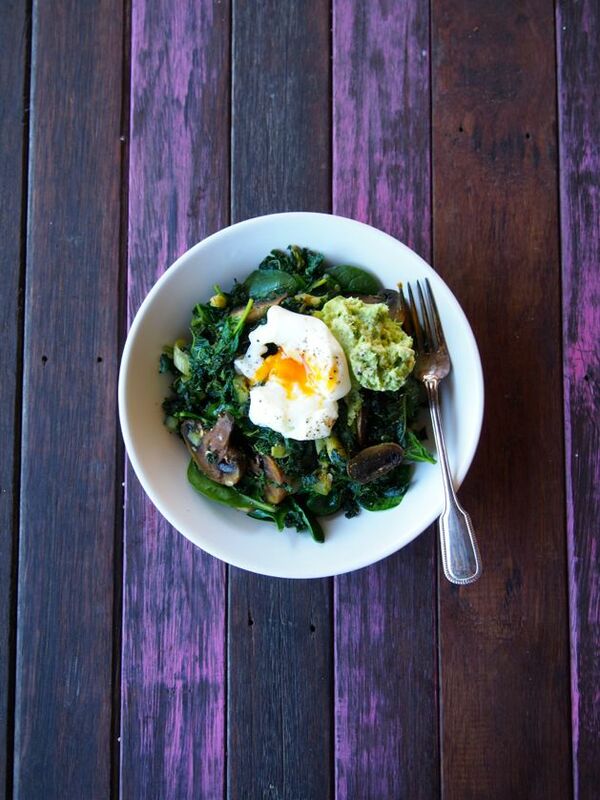 Greens for brekky… say what? We would have been searching for the cereal, milk and toast! But now it’s perfectly fine to eat this meal at any time of the day. What’s your favourite way to pack more green veggies in your day? Or what’s your favourite vegetable or what’s your favourite Disney movie? We love Disney, ours would have to be a toss up between Beauty and the Beast and The Little Mermaid. Oh and The Lion King… ahhh and Pocahontas. 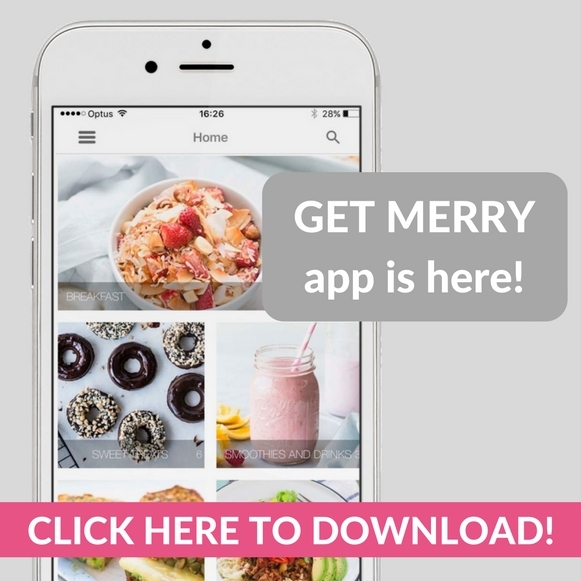 Well that was random… yes this is how we merrymake! p.s we got all our fresh greens from Supabarn! Thank YOU for delivering fresh veg and herbs every day 🙂 We also really love your new organic eggs… yay! In a large fry pan on medium heat, melt the ghee and add the shallots and spices. Cook until the shallots are soft. Add the kale and zucchini. Cook and stir for around 10 minutes, you want the kale to be really soft (seriously... it's the only way kale actually tastes good!). Now add the mushrooms and cook for another 5 minutes. Finally add the baby spinach, take off the heat and stir through. Poach your eggs in between all of that (or get a super friend to help you with that!). 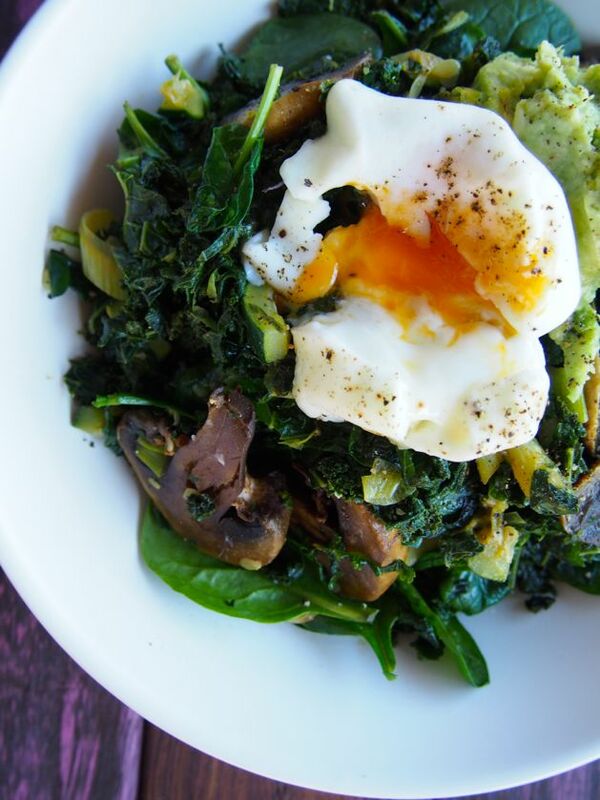 Then serve out the delish greens, top with a poached egg and a spoon full of mashed avocado! You can add whatever veggies to this dish! Treat it like a fridge clean out... or as we like to call it: a merrymaker mash up!